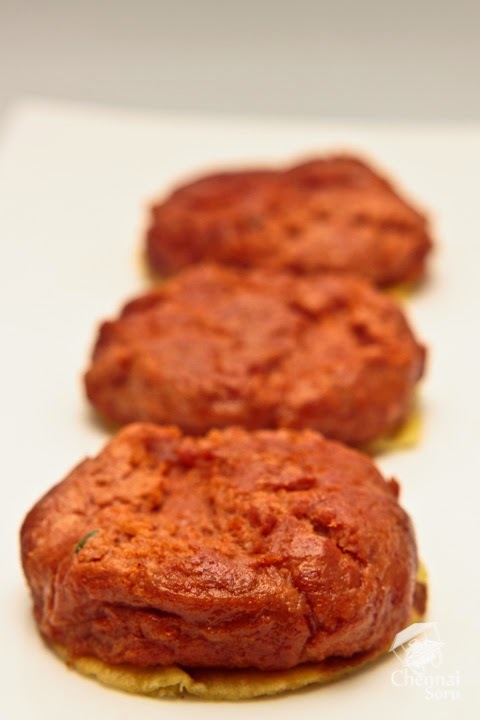 Awadhi cuisine - Galouti Kebab - Marriott. These keywords were enough. I said yes to trying out the Awadhi food festival at Courtyard Marriott. Marriott had flown in Chef Younis Khan who specializes in this cuisine for the special food festival. For those who don't know what Awadhi cuisine is.... It is essentially a Lucknowi food which specialises in Dum cooking and is heavily influenced by the Mughal and Persian style of food. As I have said a numerous times I am sucker for Galouti / Goluti / Galwati Kebabs and this was just another reason to dine here. 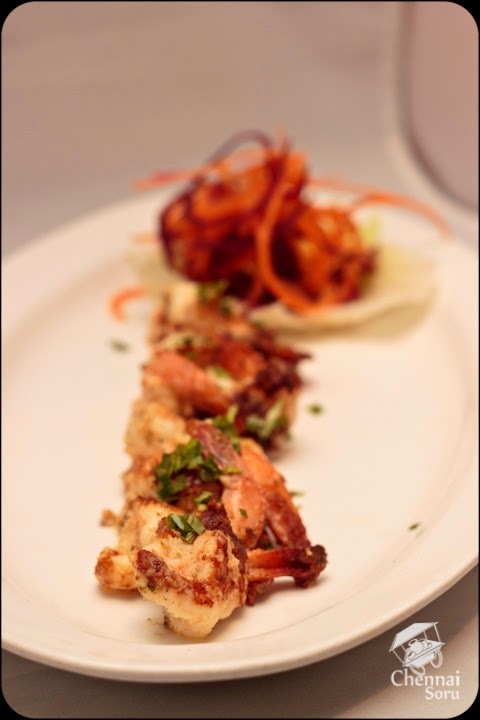 The meal started of with Malai Prawns. I must say it was out of the world. Okay, I missed saying I love Seafood as well. I just cant resist them. 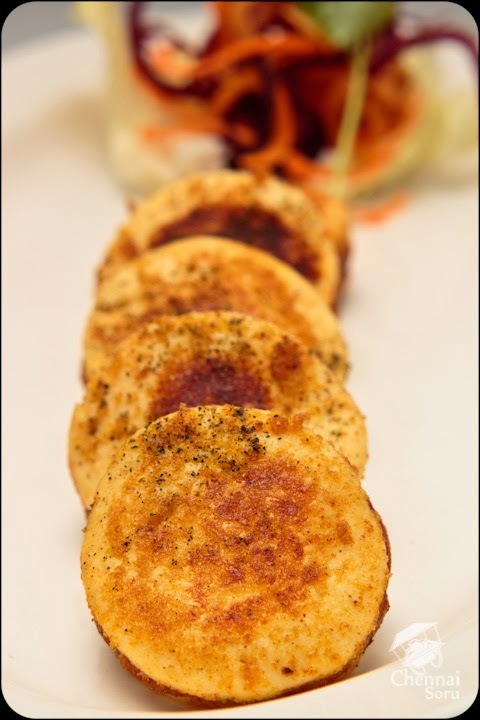 If this was not enough we were blown away with veggie version of Galouti Kebab. For once I thought this could pass off as an alternative to the original. Just as I was binging on the doupelgangers we were served with a Masala Paneer and Malai Paneer. The Maiai paneer was a little flat in flavors. It was soft no doubt, but a little flat in the spices department. 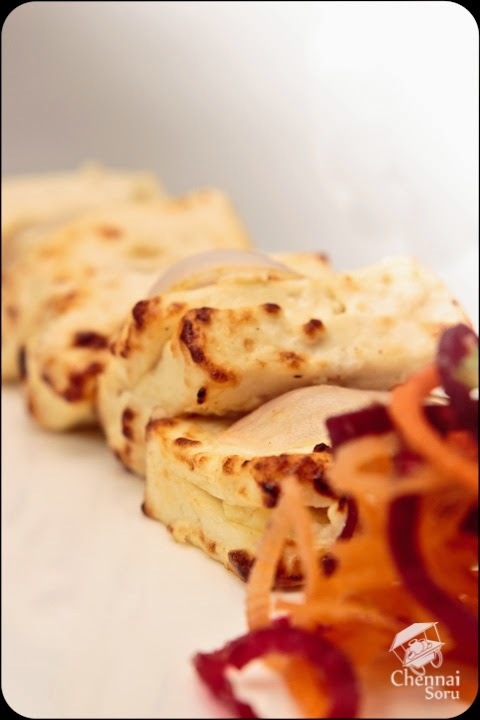 Masala Paneer was the one, everyone would relished. With all these dishes being served I was beginning to become impatient. I was waiting for the star attraction, the Galouti Kebab. Finally after all the waiting, it was served. Looked great, was definitely soft, but on eating I found the taste to be a little different which I did not mind as it was still melt in your mouth types. 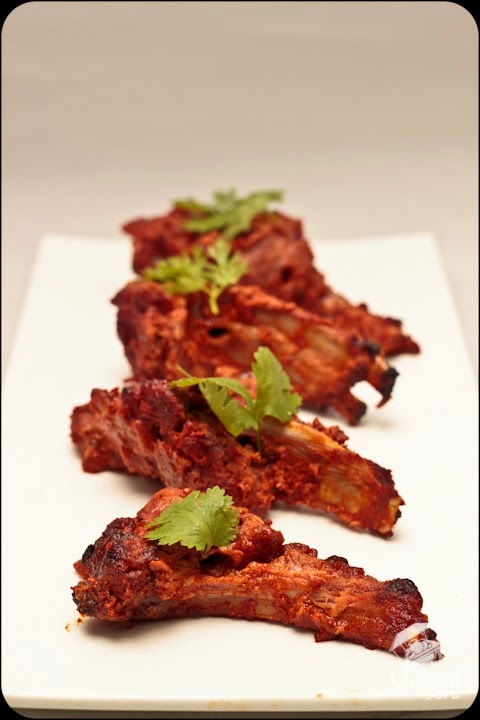 Finally if this was not enough we were served with Tandoori Lamb chops. OMG! It was delicious, soft, tender and decadent. Finishing off the starters I was too stuffed to even move around. But then the smell of the Awadhi Biryani and Lamb Nihari shook me up. 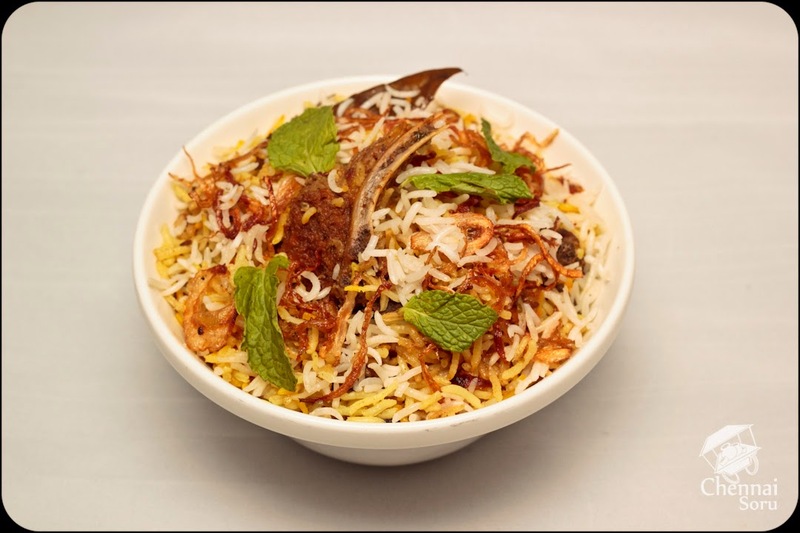 The Biryani had a different color, but was packed with richness. It is safe to say that this is one of the best Biryanis I have ever had in a Star Hotel. On the other end the Lamb Nihari was a stunner. Tender cooked lamb with roti was just what the royals would want. I was way too stuffed after the main course to even sample the desserts. Chennai has become the home of many poor buffet. But this was the only time I felt that the major portion of the buffet was great. 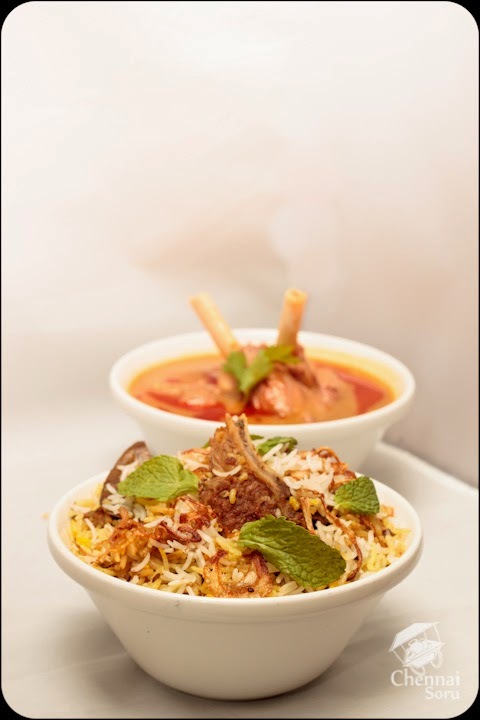 Awadhi food festival is on till July 21st. It is priced at Rs 1250/- Do try em, don't miss out on this unique food festival. Courtyard Marriott is located on Anna Salai next to Manyavar.